Whilst serving as the commandant for a research-paper writing prison*, I spent some time perusing the Met’s digital collections, in particular the Costume Institute’s collection of Men’s Fashion Plates, because, you know, stuff. I stopped at Plate 002, because I knew I’d seen that coat somewhere before. Why, yes: at the MFA in the Art of the Americas Wing, where I recently spent a pleasant afternoon with the Drunk Tailor. After some initial joy at discovering dust on a teapot, we got down to the business of setting off proximity alarms, reading labels, and contemplating the occasional neck stock. Mr Myers stopped me, though: what a handsome coat. High shoulder seams, long cuffs, buttoned all the way up. Nifty high-waisted grey trousers, too, and what seems to be a yellow waist coat. 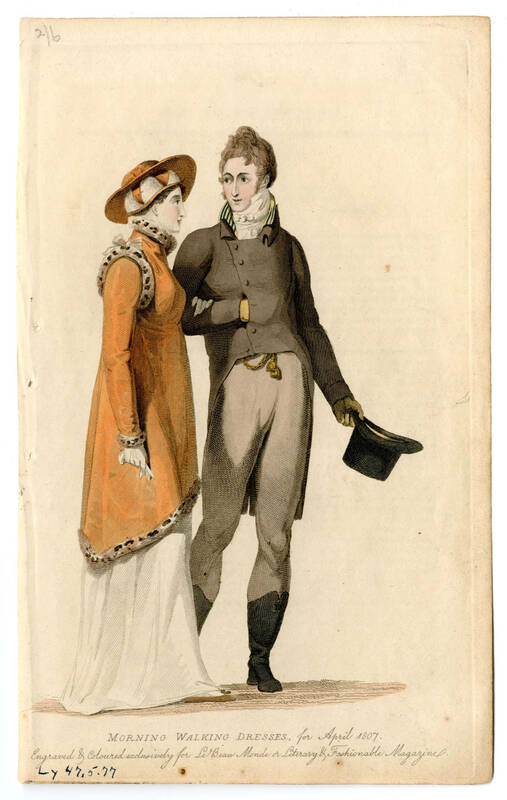 The portrait is dated 1814, and the fashion plate 1807. 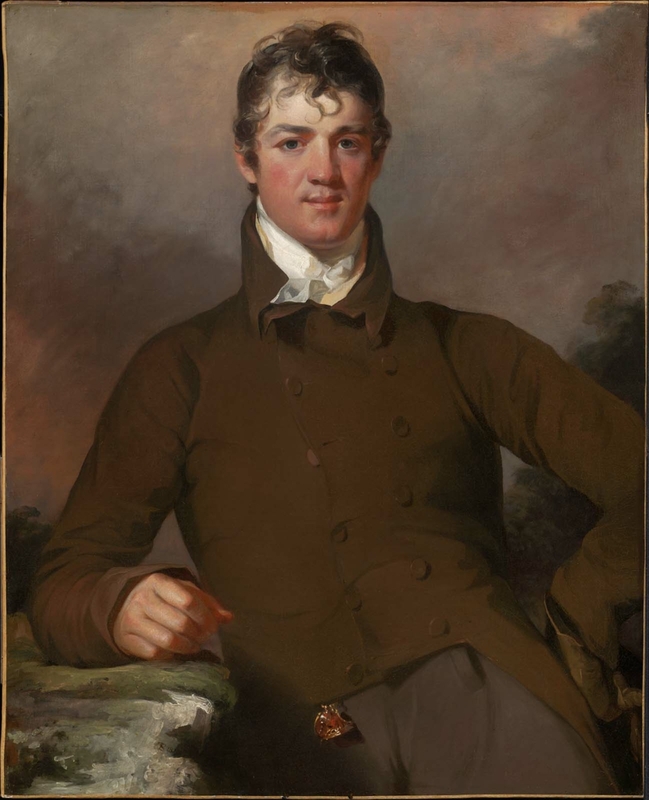 The brown M-notch collar coat is clearly a thing in 1807. It’s popular in 1802. So popular. 1802 on the left. On the right, 1812. 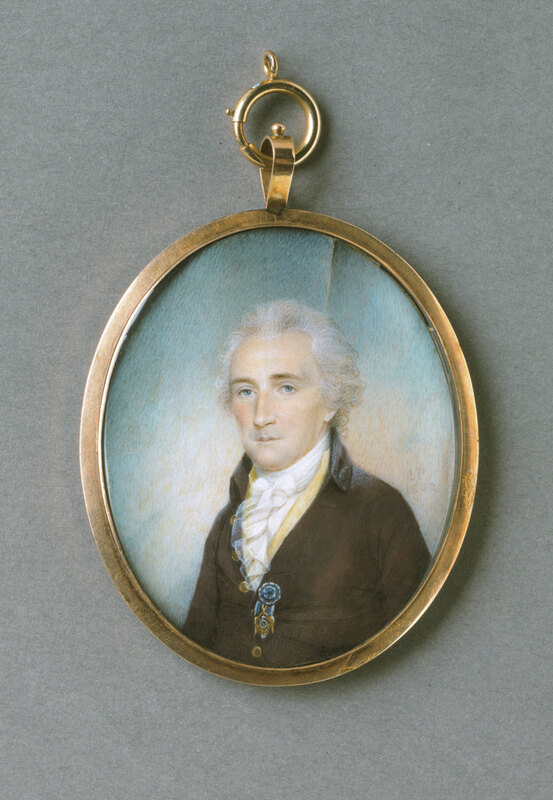 And our friend Sully paints one in 1814. After seeing Copley and other early American painters use English prints as references for portraiture, I wondered if Sully was at all influenced by fashion plates, and then to what degree American men and their tailors were influenced by published fashion plates. Brown coats are clearly classic: Sully’s got one himself in 1821. 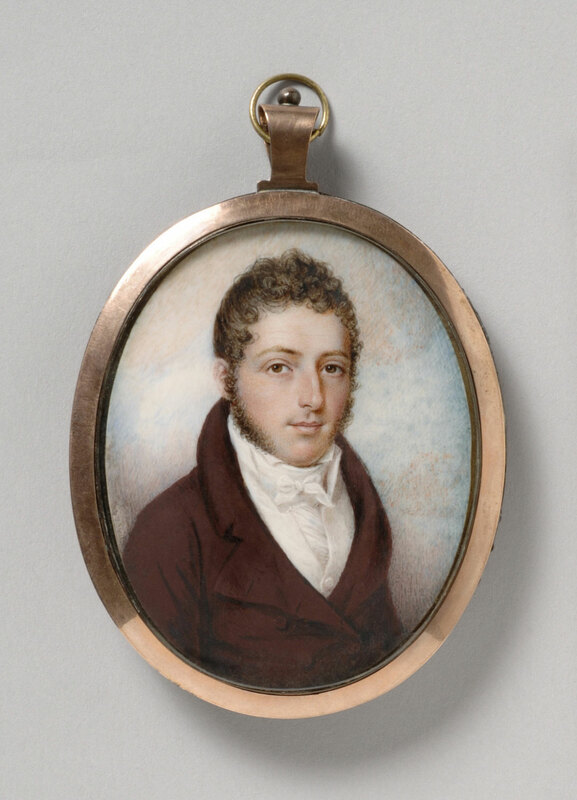 I’m sure there’s a dissertation out there somewhere on the influence of fashion plates on American men’s fashion and representation in portraiture– I can almost remember stumbling across the reference. So that echoes and re-echoes and reflects through time even as I recall not just the the folk wisdom about brown suits, but the significance of well-tailored suit. Maybe from 1802-1821, brown is the new black. *Ah, teenagers. The Young Mr failed to complete a paper by the due date, so I spent some quality time ensuring he got back on track. awww, what a great mom! I’m so grateful for your unearthing the brown coat images. Now, if I can just get sprung from whatever other centuries they want me to costume in this summer…?? ?